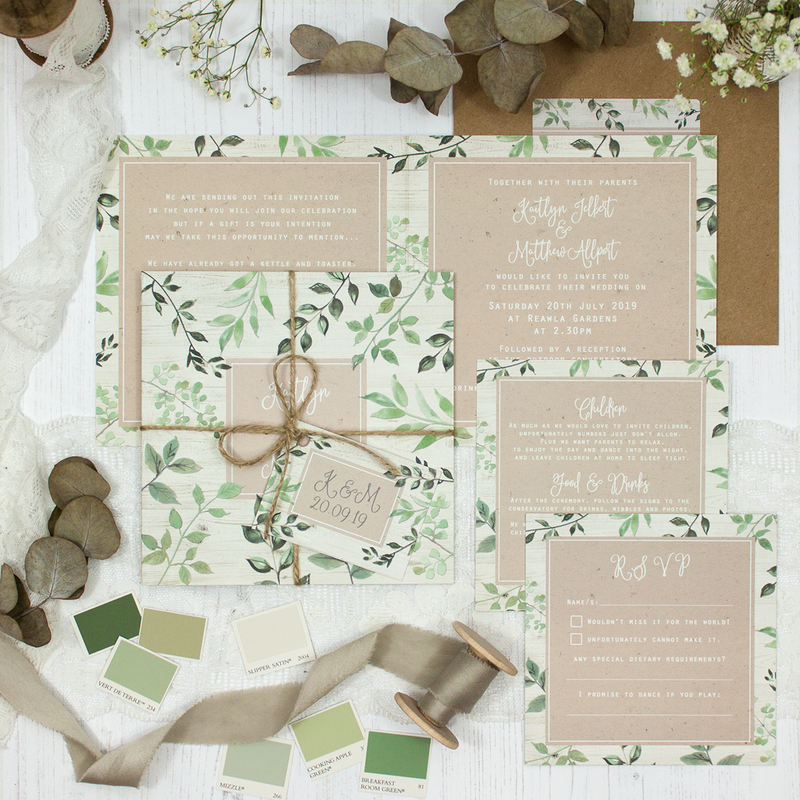 Wedding invitation sample pack including an RSVP, info card, string and tag, envelope and label in the Evergreen Forest Collection design. A selection of rich greenery leaves, featuring forest foliage and understated natural details. 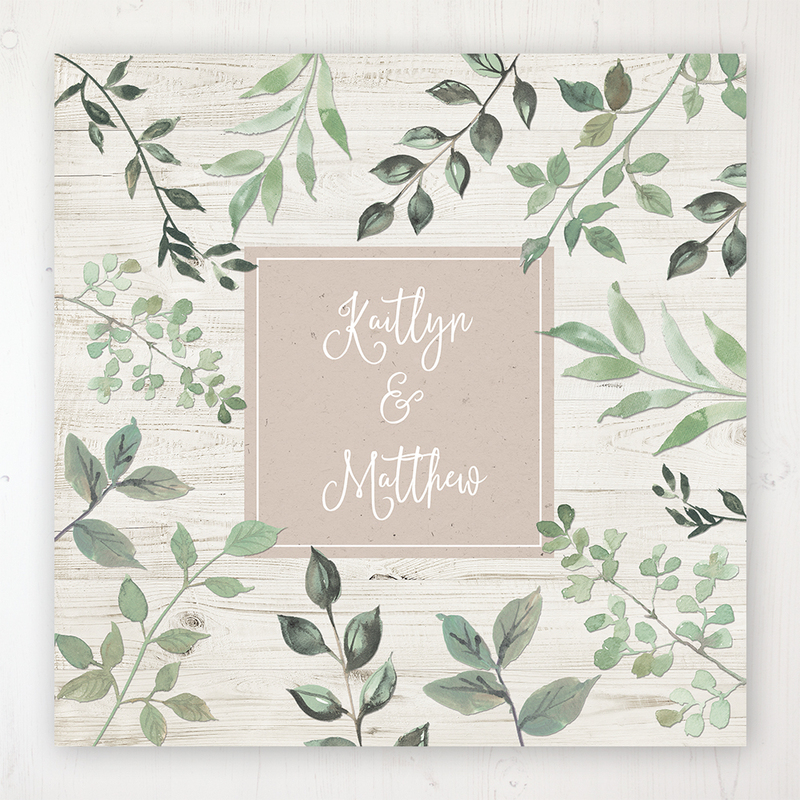 Perfect for couples that are not necessarily floral, but want to bring a touch of rustic evergreen elements into their wedding.